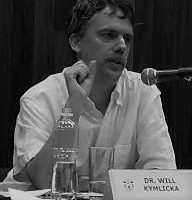 Will Kymlicka is a Canadian political philosopher. His career has focused on how democratic countries address issues of ethnic, racial and religious diversity, with a special focus on the theory and practice of multicultural citizenship. He teaches at the Queen’s University at Kingston, Canada and at the Central European University in Budapest, Hungary.